Tyler The Creator announced today that the sixth Camp Flog Gnaw Carnival will be returning to Exposition Park in Los Angeles on the 28th and 29th of October. Produced in collaboration with Goldenvoice, the limited amount of presales that were released today have already sold out, so if you’re hoping to get your hands on one in the next release, you better be quick. The 2017 carnival will be following on from the very successful 2016 Camp Flog Gnaw which had a pretty stellar line-up including Erykah Badu, Chance the Rapper, Lil Wayne, A$AP Rocky and Schoolboy Q, so it’s safe to say this year’s line-up is going to be pretty mind blowing. If the line-up alone isn’t enough to entice you, maybe the carnival rides and games designed by Tyler himself will seal the deal, not to mention that it’s the perfect excuse to spend some quality time in LA this October. Head to the official Camp Flog Gnaw website for upcoming ticket release details. 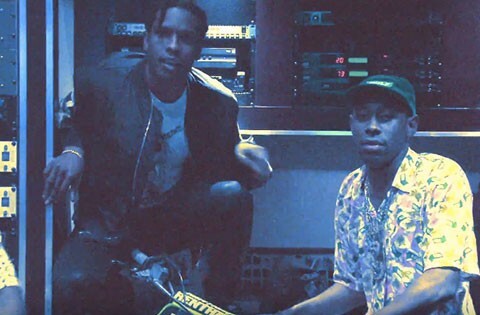 Watch: A$AP Rocky does a perfect Tyler the Creator impression "Do you even drive?"